HRANA News Agency – Authorities of Diesel Abad prison of Kermanshah, rejected medical furlough request of Zeynab Jalalian, who is at the verge of blindness. 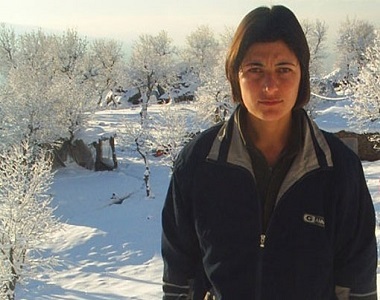 According to the report of Human Rights Activists News Agency (HRANA), in response to bad physical condition of Zeynab Jalalian, prison authorities promised to send her to medical furlough one month ago. Nevertheless, few days ago, she was informed that her request is rejected by security services and she cannot take any effective procedure. This prisoner has been suffering from bad health condition, especially visual problem and recently has lost her sight. Zeynab Jalalian was arrested by Kermanshah intelligence and security forces, in 2007, and first sentenced to death, and then to life prison. This political prisoner has been under severe pressure and had gone to hunger strike several times. Needed to be mentioned, earlier on a published report by media, reason of vision problems of Zeynab Jalalian was stated as stroke during interrogation.